A multi-branch program across the Brooklyn Public Library system underway through May 10th brings together survivors, descendants, and experts to share untold stories of European Jewish refugees displaced during World War II who found sanctuary in Shanghai before their eventual emigration to the United States, many of whom settled in Brooklyn, NY. 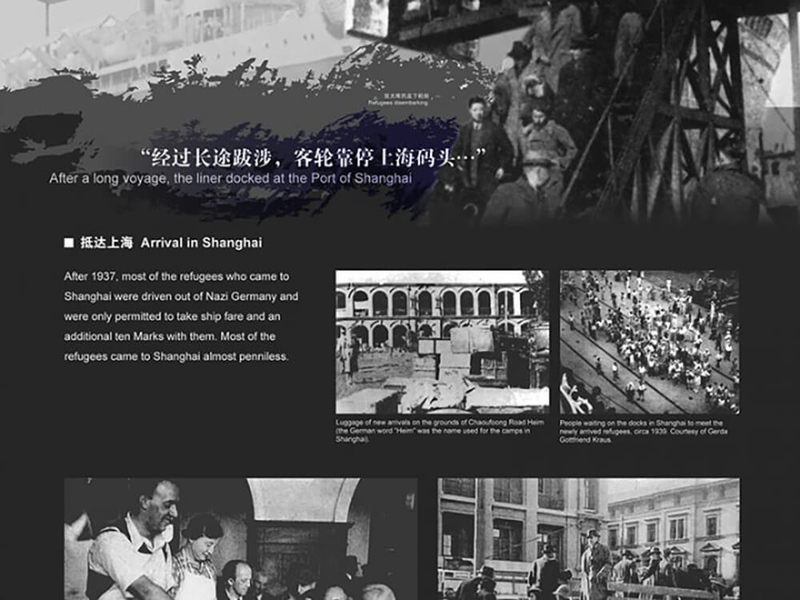 Jewish Refugees in Shanghai is open to the public and includes documentary films and discussions about the experiences and stories of survivors, as well as an exhibition of historic images and ephemera of the European Jews who were displaced during the war. Special events include a discussion on the afternoon of April 16th at the Brooklyn Central Library with survivor Lisa Brandwein, moderated by librarian and program manager Frank Xu, on her personal experiences growing up as a Jewish refugee in Shanghai 80 years ago, and a discussion on April 4th at the Borough Park Library featuring Flatbush resident Benson Chanowitz, whose father, two uncles and one aunt escaped to Shanghai from Japan during WWII. Benson will discuss what happened with his family in the years after they left China and the impact the experience had on multiple generations. The series tells the stories of how, with the outbreak of WWII, many Jews chose to flee their hometowns, and a considerable number of them took refuge in Shanghai, China—a city they could travel to without a visa. Around that same time, students from the Mir Yeshiva in Vilna, Lithuania, also made their way to East Asia to escape the Nazi regime, setting up yeshivas in their new home. Many of these students—and their families—emigrated to Brooklyn, NY, following Japan’s surrender in 1945. The series is put on by the Brooklyn Public Library in collaboration with the Shanghai Jewish Refugees Museum and the Amud Aish Memorial Musuem. The exhibition is part of BKLYN Incubator, empowering library staff to build public programs and services in partnership with the communities they serve. Generous funding for BKLYN Incubator is provided by The Charles H. Revson Foundation and Robin K. and Jay L. Lewis. Following the conclusion of the program series, the exhibition panels will be open to be borrowed and displayed at local community centers, schools, or cultural organizations interested in sharing this history with their communities. Tiger Wang, Senior Librarian, leads a discussion on how Jewish people went to Harbin as refugees, and what contributions they made to their new communities. Benson Chanowitz, whose father, two uncles and one aunt escaped to Shanghai from Japan during WWII, discusses what happened with his family in the years after they left China. Izabela Barry, Senior Librarian of Brooklyn Public Library, talks about how the polish refugee family of Anna Lincoln was able to make their home in a foreign country like Shanghai during WWII migration. The research conducted by Dr. Shuming Lu from Brooklyn College examines how Jewish descendants perceive this part of Jewish history in Shanghai and its impact on Jew’s intercultural communication with Chinese in general. Lisa Brandwein leads a discussion on her personal experiences growing up as a Jewish refugee in Shanghai 80 years ago. Moderated by BPL librarian Frank Xu.